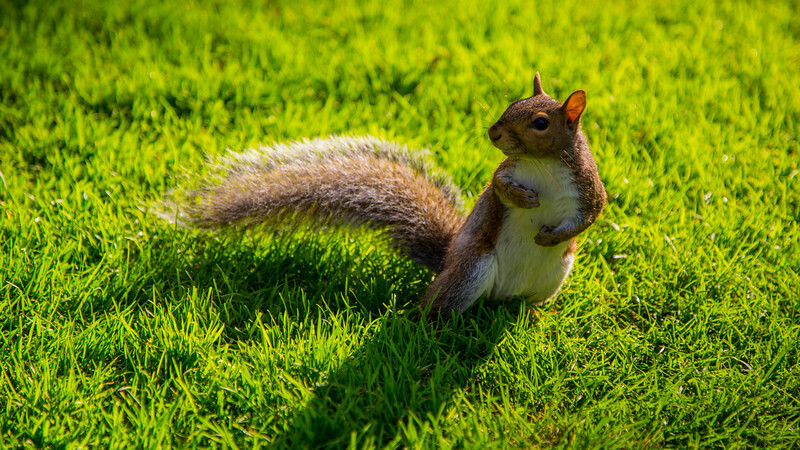 This squirrel apparently enjoyed a relaxed Sunday afternoon in the Boston Common Park, scratching the (full?) belly and letting the sun warming its back. At the same time our squirrel seemed to be quite interested in what is happening in the neighborhood – nothing too exciting right now… But this changed a second later.